Yesterday was a protein re-feed day. I had salmon for lunch and a hamburger patty for supper. I ran on Turkey Mountain yesterday. Saturday I moved around a lot but again didn't really exercise much. I taught two classes and I did a little bit of exercising at the house, mostly pull-ups and monkey bars. I was active for 8 hours and 43 minutes yesterday. I only logged in 13342 steps though. I was estimated to have burned 2,791 calories. I had 0 inactive warnings. My Loop says I slept a little over 6 hours, but only 76% was restful. I ate about 2,000 calories yesterday. The problem with having healthy junk food around is that it pushes real healthy food like vegetables and fruits out. I found myself eating the chips instead of making a salad. This morning I weighed 169.5lbs. That is up another pound. Too much Kamora and almond milk. Too many healthy chips. All plant-based but not the healthiest choices. 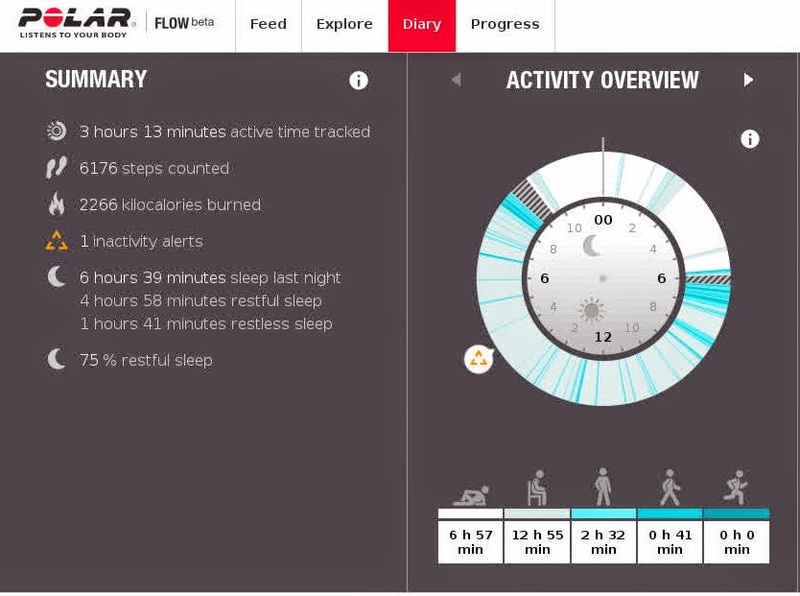 Yesterday I didn't exercise much but I was active for over 10 hours. 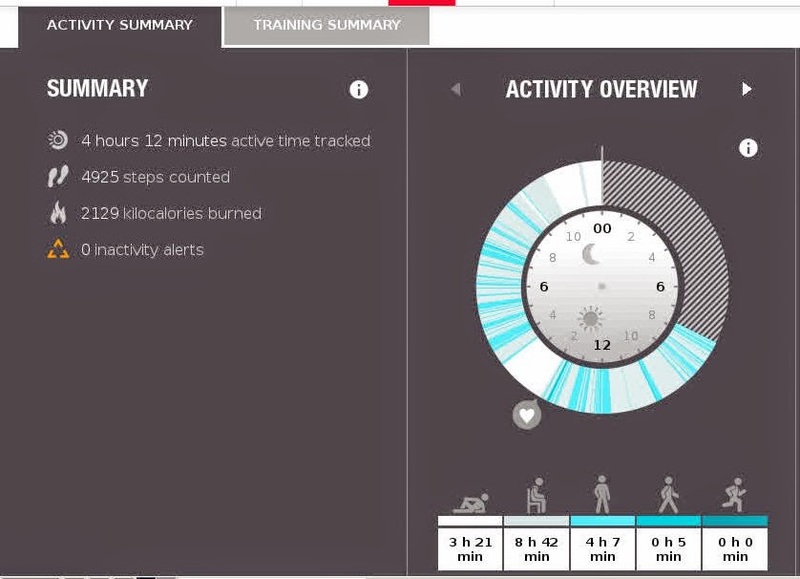 I only logged in 17413 steps, but burned 3,045 calories by being active. I had no inactive warnings. I ate at El Charro's last night. I had the spinach enchiladas with guacamole and queso. So the dairy was the only animal product I had yesterday. I ate a lot of chips and I had a couple Michelob ultras. I weighed in this morning at 168.5lbs, so I was up 1.5lbs this morning from my Friday night Mexican feast. Yesterday I mixed it up some. I ran at a much slower rate. I also picked up some healthy junk food at Whole Foods. I took my morning GBL and it was 83mg/dL. I ran about 3 miles yesterday but I forgot to turn on my tracking app. I did have on my HRM through so I have that data. I ran in zone 1 and zone 2 almost the entire time. I bounced back and forth between the two zones. Zones 1 and 2 are fat burning zones. 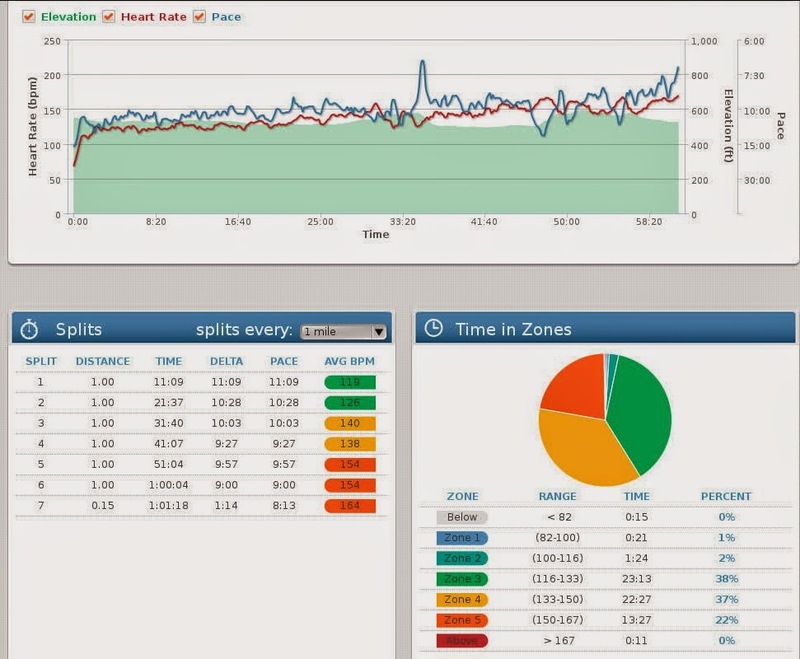 Running at this rate keeps your RQ where you are using more fats for energy than carbohydrates. You can see on the right the color code for the different zones. 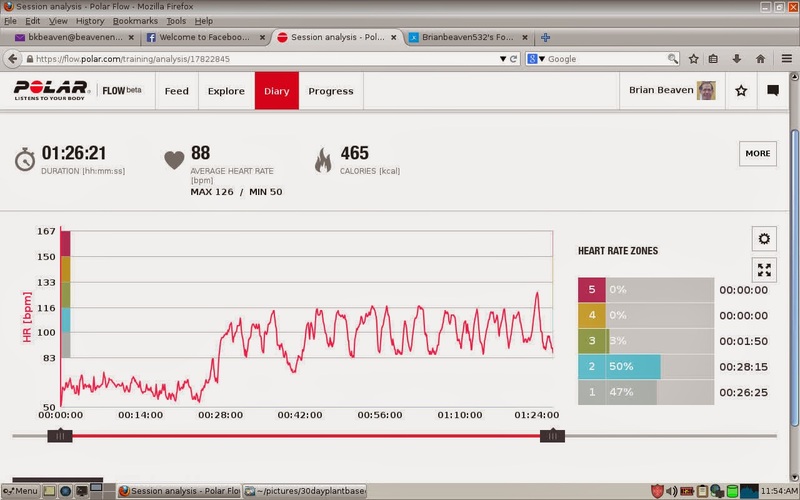 On the left is the graph showing my heart rate. I started the run at about 28 minutes. The time from 0 to 28 minutes was the car ride to the lake and stretching. 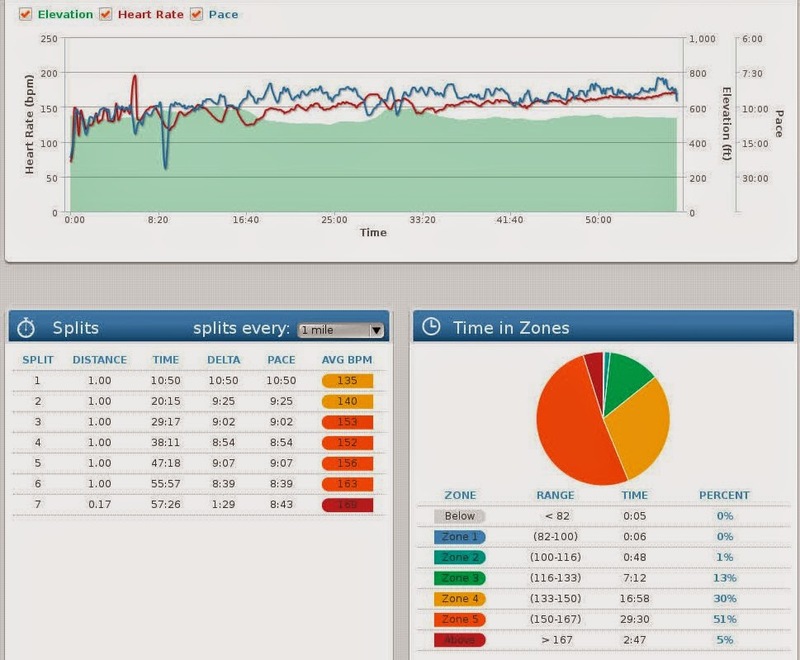 My average heart rate was 88bpm. I got up to 126bpm at one time. While I was in the car my heart rate was between 50 and 60bpm. 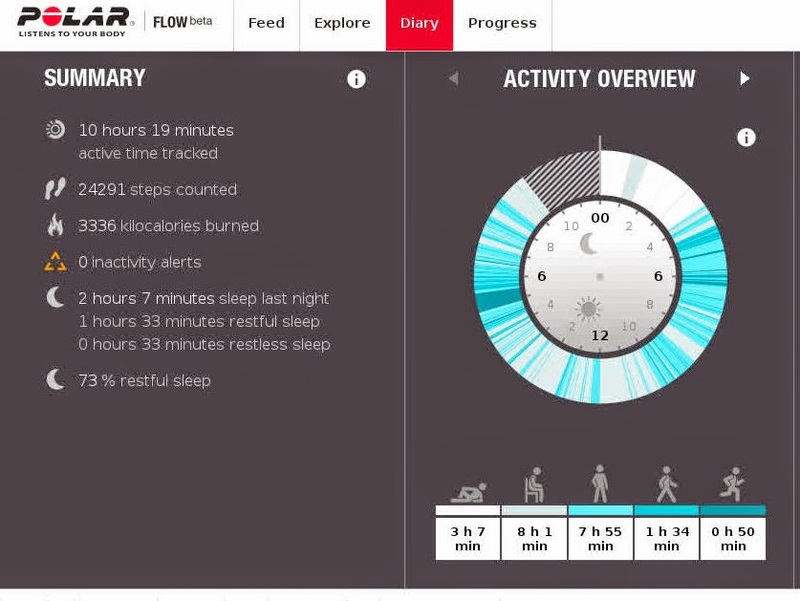 In addition to the run, I was very active yesterday. I logged 27119 steps and burned 3375 calories. I didn't have any inactive times yesterday that lasted more than an hour. 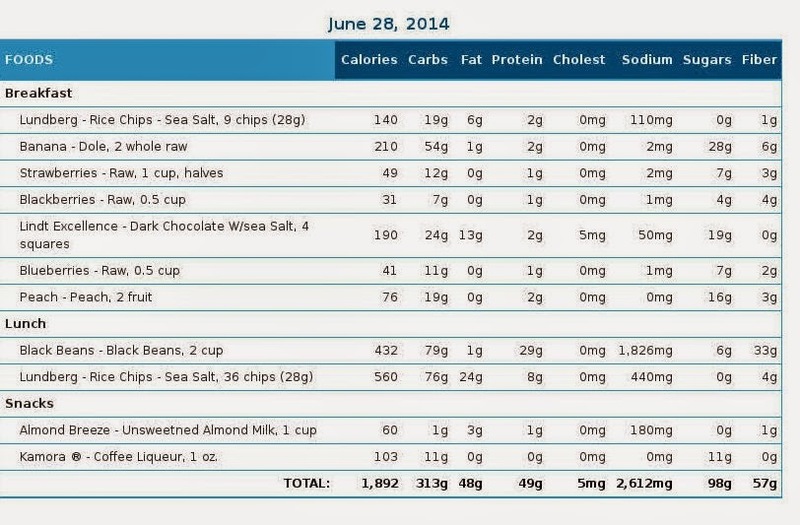 I did consume quite a few calories yesterday. Mostly thanks to the healthy junk food I picked up. I went to Whole Foods to get some more sprouted tortillas. I was looking around the store when I bumped into a free sample of some bean and rice chips. 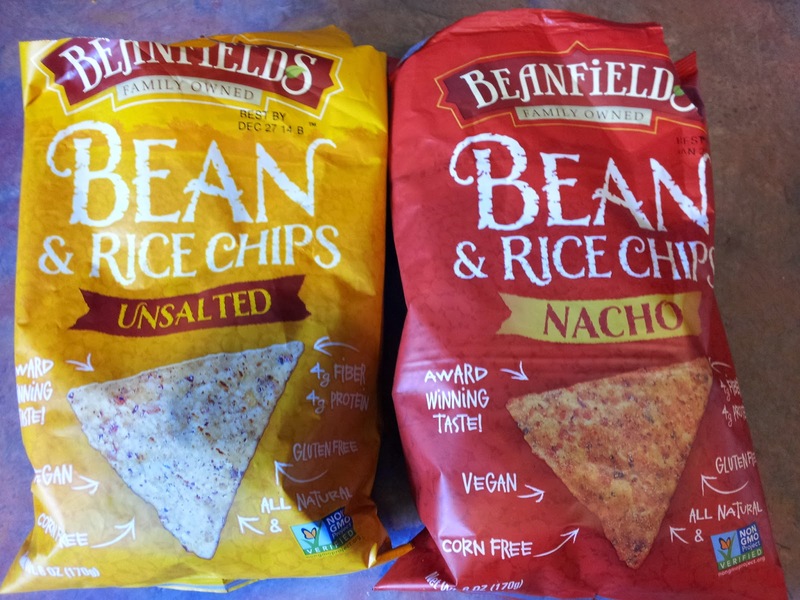 What I liked about the Beanfield products is they are only 30% fat. They are also vegan, non-GMO, dairy free, and gluten free. They taste pretty good with salsa. 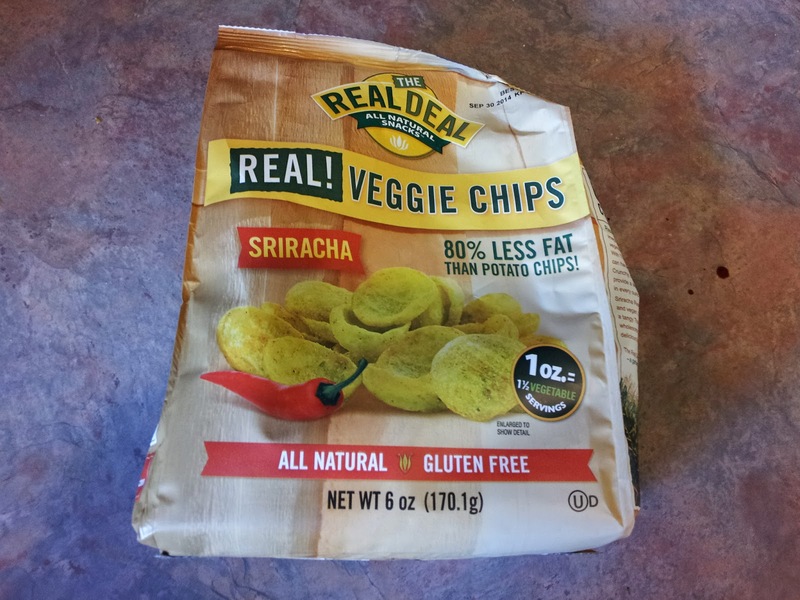 I liked these Real veggie chips too. They contain even less fate. Most veggie chips are loaded with fat. These have peas as their main base and you can taste it. They have enough seasoning to cover up the pea taste though. I found these hard to put down. 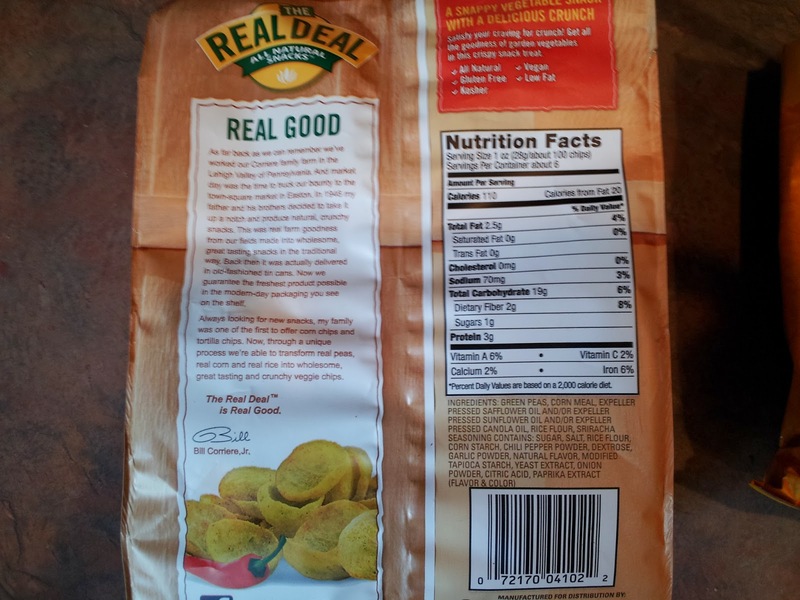 But despite all the good things about these chips they are still a processed food. They push out calories that could be better spent on healthy fresh whole food. I found out why I was so hungry yesterday. I burned a bunch of calories on Tuesday and didn't eat enough. I was also burning through the calories yesterday. I weighed 167lbs today. I wasn't plant-based for one meal yesterday. I was grilling up some ground beef patties for the dogs and the patties were really smelling good. So I had one of the patties. 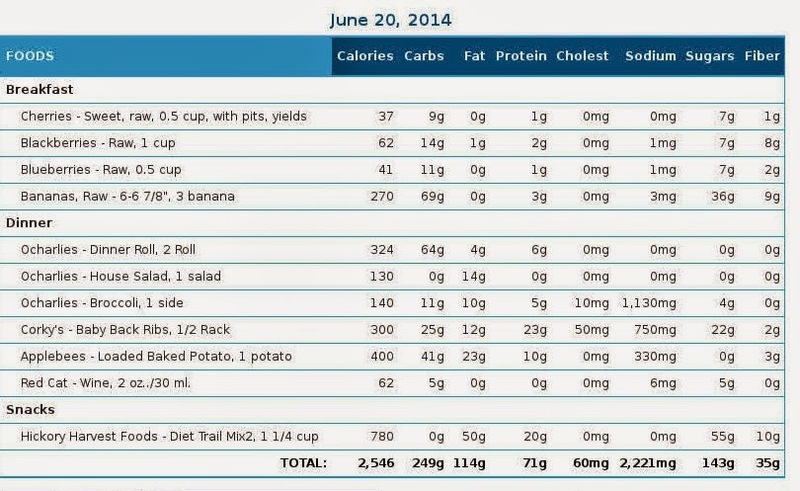 I ate 2,520 calories yesterday. I upped my protein and fat. I kept my sodium low. I still got over 30 grams of fiber. I was active for 10 hours and 36 minutes. I logged 24,667 steps. I burned 3277 calories. I taught 2 classes yesterday and participated in 1. I also mowed the lawn. Half way through the challenge. I weighed 169lbs this morning. That is 5lbs down in 15 days. I ate plant-based all day yesterday. 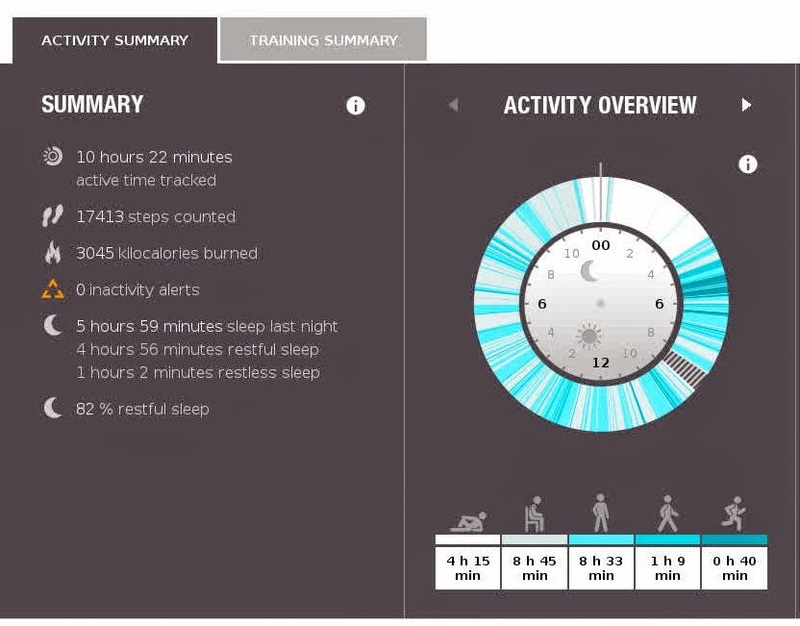 I was active for 7 hours and 57 minutes yesterday. I logged 26,525 steps and burned 3,603 calories. 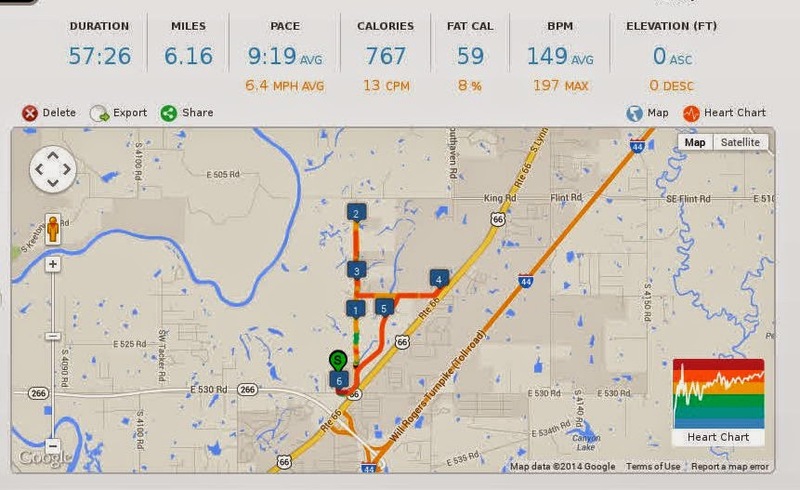 I ran 6.16 miles yesterday at a pretty good pace. I got out early while it was a little cooler. I ran mostly in zone 4 and 5. The run felt really good yesterday. My legs never felt heavy during the run. I ate a big breakfast after teaching my classes and completing the run. I really didn't get very hunger the rest of the day. Today has been different. I've been hunger most of the day and I've been eating a lot. Be sure to stop by tomorrow to see what I ate and how it reflects on the scale. Tawny over at Endurance plant interviewed Ray Cronise about his recently released paper, "Metabolic Winter Hypothesis". They talk about the obesity crisis, exercise, and much more. Today I weighed 171.5 which is 2.5lbs below where I was 2 weeks ago. Yesterday I weighed 169lbs, but I was really in need of some El Charro's salsa. I ate a lot of food yesterday in addition to the El Charro's food. I fixed what I would call the absolute best oatmeal ever. The recipe is at the end of this post. I ate it so fast I forgot to take a picture. 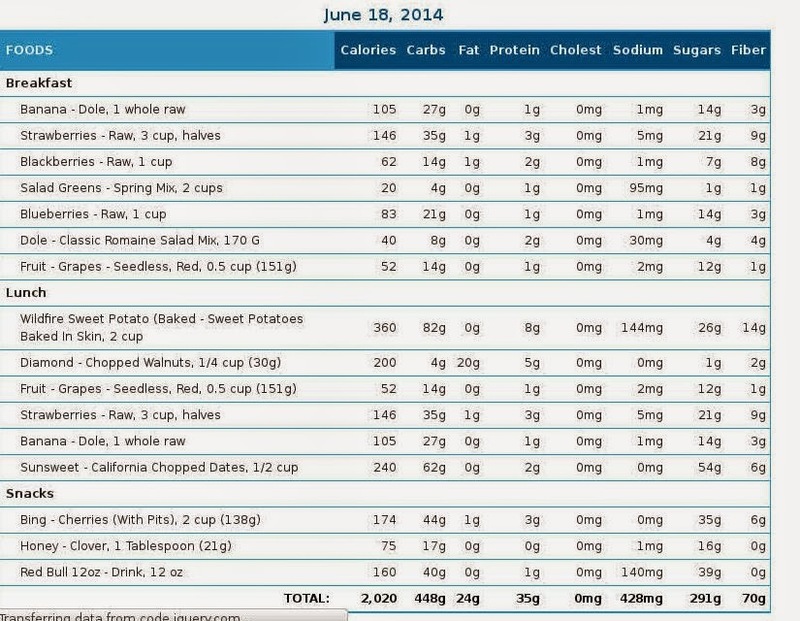 This is day 13 food list. I was on a road trip on this day. I spent 9 hours in a car. I had 1,743 calories. It was a total plant-based day. I only had 3 hours of active time on Sunday. I only logged 4,102 steps. I burned 2,102 calories. I had 5 inactivity alerts because I was sitting for more than an hour. Yesterday I had over 3,000 calories of food. I had a piece of chicken and some cheese at dinner. Other than that it was a plant-based day. I was active for 8 hours and 20 minutes yesterday. I taught 2 fitness classes and participated in one. I had one personal training client. I logged 14,649 steps and burned 2,905 calories. I only had 1 inactivity alert. My BGLs were fine on both days. My morning fasting BGLs were below 90mg/dL. I felt really good both days. My morning fasting BGL was 81mg/dL. I cooked the oatmeal in a microwave. I placed the water and oats in a large bowl and covered it with a plate. I nuked it for 2.5 minutes. I stirred all of the other ingredients in after the oatmeal was cooked. Stick to the ribs good oatmeal. All natural ingredients, no added sodium, no preservatives, all plant-based. 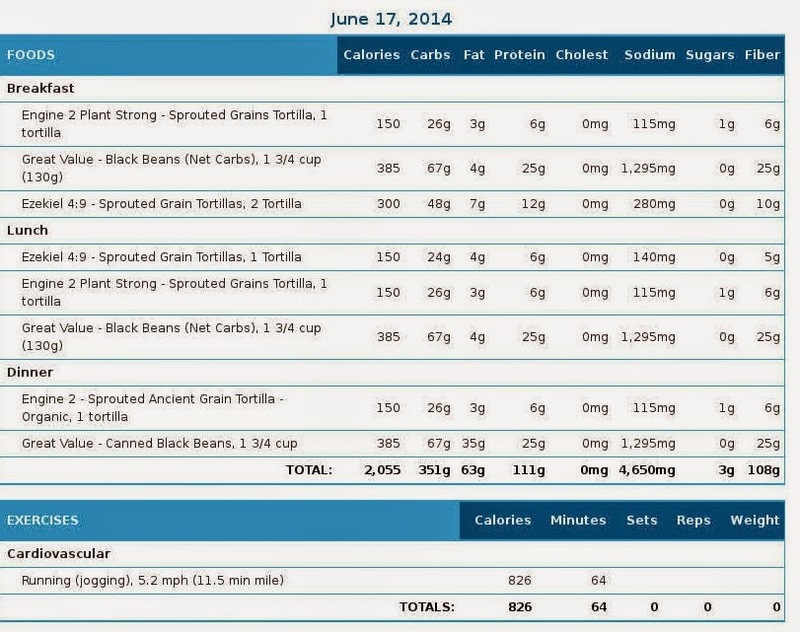 Last week I was trying to hold my macronutrients to a 80% carbohydrates, 10% fats, and 10% protein. 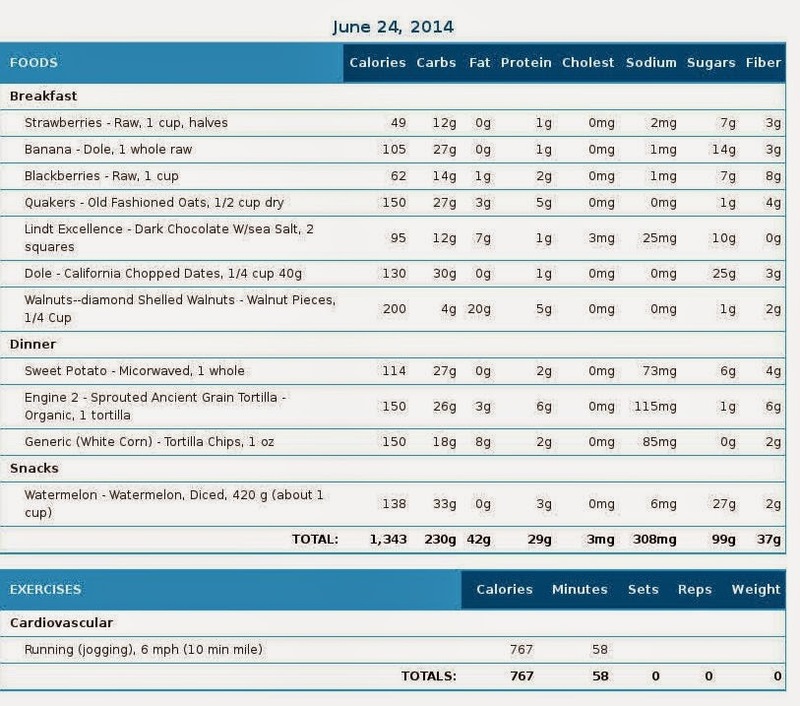 This week I'm changing up the profile for a new set of macronutrient goals. I'm shooting for 50% carbohydrates, 30% fats, and 20% protein. I had to make a road trip this weekend and I was visiting relatives. I kept up most of my food and activities journals. I didn't exercise this weekend. I didn't weigh myself or take BGLs. Below are the pictures of my journals. I ate plant-based throughout the day. I had animal products on Friday and Saturday night. I also had animal products Saturday afternoon. I could have stayed plant-based but chose to eat some meat. It was really easy to stay plant-based even on the road. The gas stations all had fruit and trail mixes. There was a Walmart next to our hotel so we got fruit there for breakfast. The hotel had breakfast but it was cheap processed grain foods; Pastries, sweetened cereals, and waffles. We didn't want that crap so we went to Walmart. Yesterday was salad, berries, and a sweet potato with dates and walnuts. Today I was up 1.5lbs. 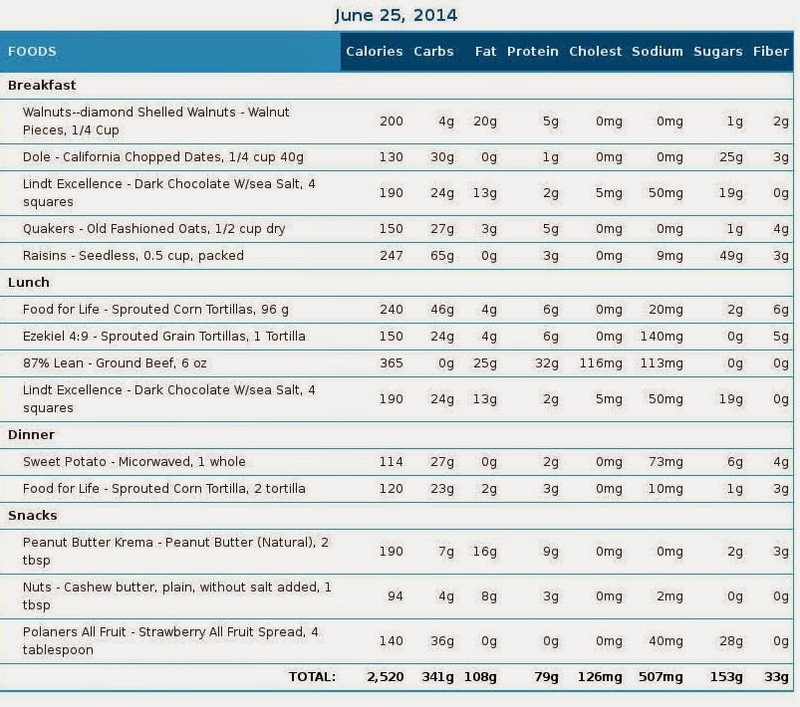 I ate over 2,000 calories and most of it was carbohydrates from fruit. I was really active yesterday but I didn't exercise all that much. BGLs were good. I've got a lot going on today so this is going to be a short post. Come back tomorrow to see what eating buttered popcorn with the granddaughters does to my weight. Yesterday was beans and tortillas. I found some sprouted ancient grain tortillas at Whole foods. 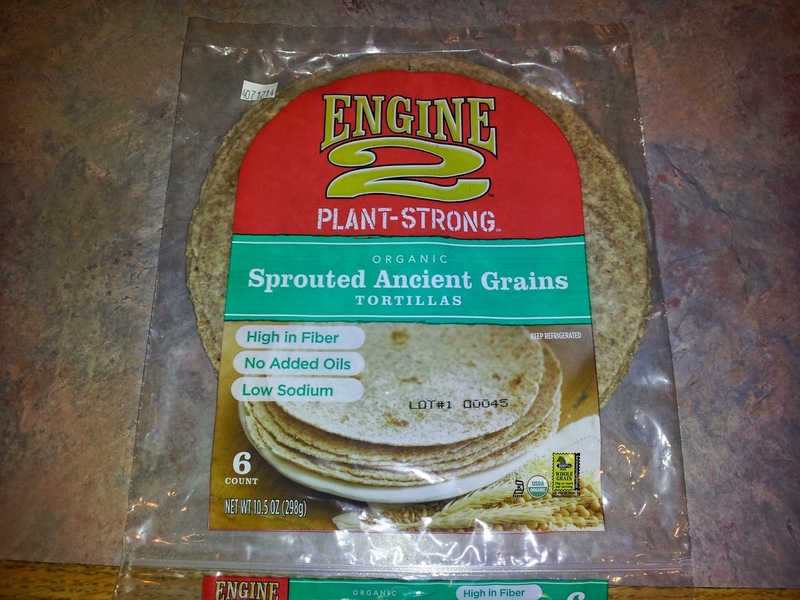 This one is the Engine 2 ancient grain tortilla. I really liked the tasted of them. It was very nutty. I placed them in a non-stick skillet to heat them up. I left them in the skillet until they are mostly crunchy. I then dipped them into El Charro's salsa. The funny thing is these tortillas are manufactured by the company that makes the next tortilla. Food of life makes a lot of sprouted grain products. 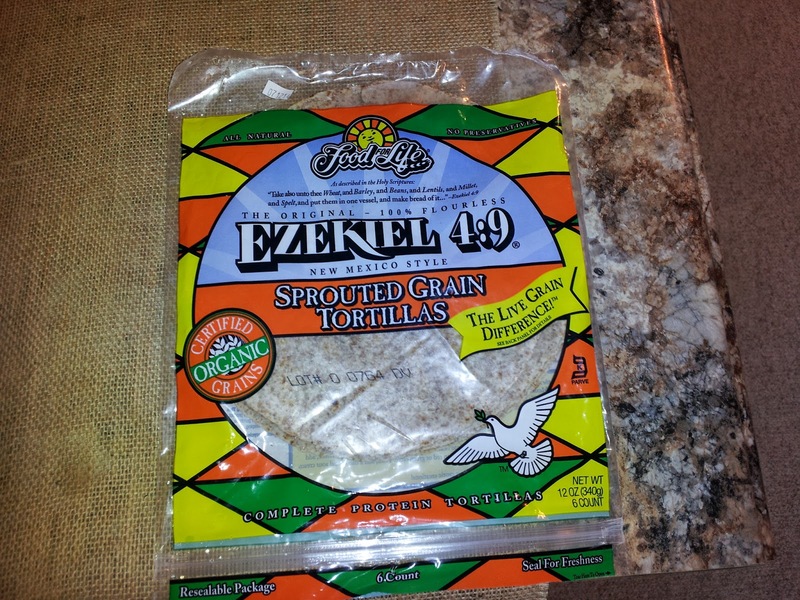 This is their Ezekiel 4:9 sprouts grain tortillas. They also make the above Engine 2 tortillas, says so on the package. The ingredients between the two a just a tiny bit different. They had just a little different flavor, very slight. I liked this one better than the Engine 2. It might be all in my head though. 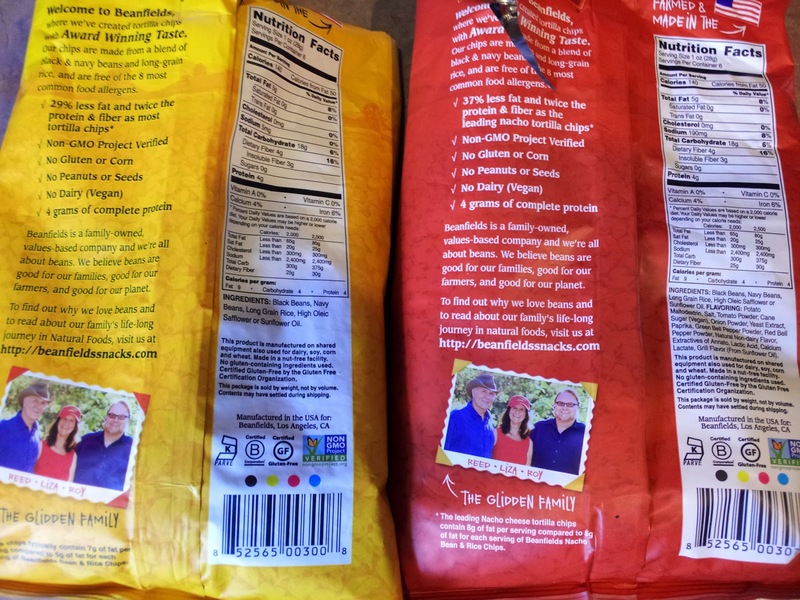 Both tortillas have sprouted wheat and sprouted soy. I'm not real crazy about them having soy in them. But, they are supposed to be organic and GMO free. They didn't add preservatives or oils to the tortillas. I would definitely eat these tortillas again. I ate cheap black beans from a can yesterday. They were the Great Value ones from Walmart. They didn't have my favorite Bush's Seasoned Black Beans at the time. I added El Charro's salsa to them and they tasted fine to me. Tanya got an upset stomach from they. They had a lot of sodium in them and my face is swollen some today. More on this later. I ate 2,055 calories yesterday. My sodium intake was 4,650. Wow! 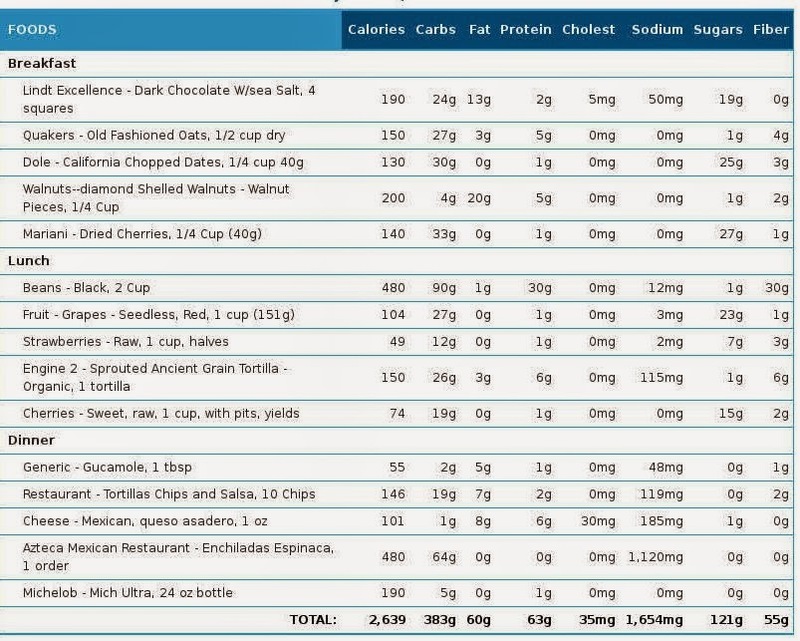 It is very easy to eat a lot of calories when you are eating food that has been processed and cooked. It is much more difficult to get enough calories when you eat raw fruits and vegetables. Here is a link to an experiment they did in Great Britain. They put 12 people in a zoo and only fed them raw fruits and vegetables. They lost weight so quickly the crew had to bring the participants cooked fish to slow down the weight loss. It was called the "Evo Diet". You can Google it from more information on the show. I moved around a lot yesterday. I was active for 9 hours and 26 minutes. I logged in 30,114 steps. I think my Loop make mistake some other movements for steps. I burned 3,550 calories. The Loop is also questionable when it comes to my sleep. It said that I only slept from a couple hours last night. I have already posted my run from yesterday. See yesterday's blog for the details. BGLs were all fine yesterday. I burned 3,550 calories yesterday and only consumed 2,055 calories. My weight this morning was the same as yesterday 167lbs. Eating less and exercising more once again didn't cause weight loss. There was also the sodium which played a big part in me retaining weight. The moral of today's blog is eat raw fruits and vegetables if you want to drop weight quickly. Don't consume too much sodium. I'm eating fruits, vegetables, and sweet potatoes today. See you tomorrow for an update. Ray Cronise's "Metabolic Winter Hypothesis" is now available to the public. This paper explains how eating too much food, staying too warm, and not getting enough sleep is causing the current obesity crisis. This is a very important paper that everyone needs to download and read. 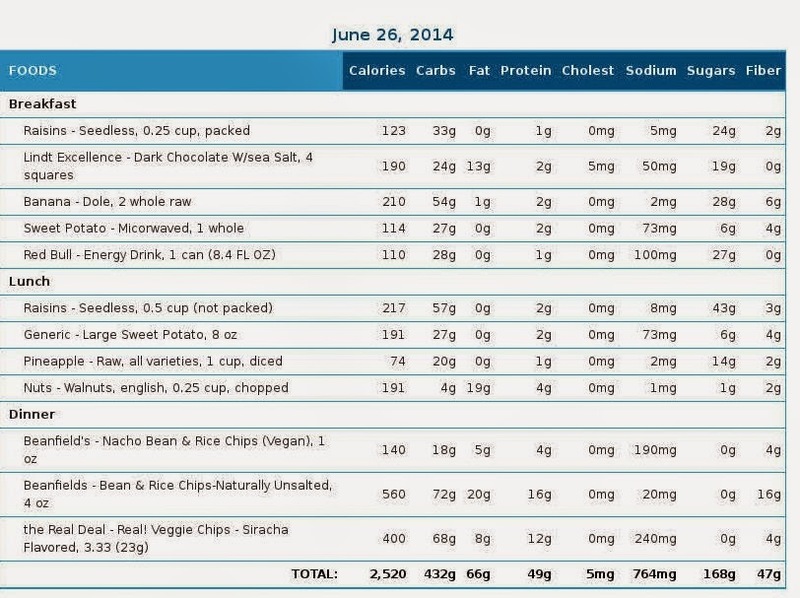 Today is the end of the first week on the plant-based challenge. Are you curious about my weight loss? How about 7lbs in one week? Not to bad considering I pigged out on Friday and Saturday night. On Tuesday the 10th of June I weighed 174lbs. Today I weighed in at 167lbs. That is 7lbs in a week. I could have easily dropped a couple more if I hadn't overate on high calorie foods and beverages over the weekend. 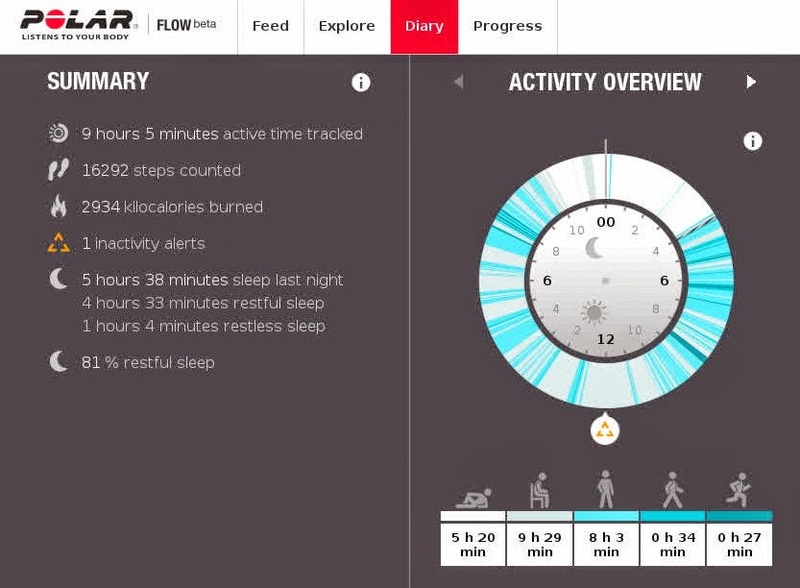 My body fat is still around 12% according to the Omron device. Let's look at what I ate yesterday. I ate only fruit yesterday. Pineapple, bananas, oranges, cherries, strawberries, and blackberries. I ate a lot of fruit yesterday but it only came to 1,782 calories. I could have kept it closer to 1,600 if I hadn't eaten dried cherries. They are calorie dense. I had 448 grams of carbohydrates. Holy fruit bats Robin, that is a lot of sugar. But wait, what were my BGLs yesterday? I took 3 readings yesterday. The readings were 84mg/dL, 91mg/dL, and I finished the day with 68mg/dL. Its all about the fiber. 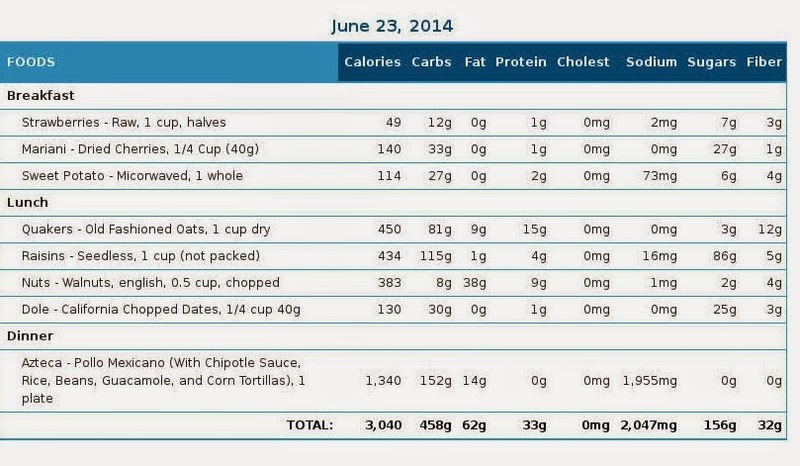 I had 49grams of fiber yesterday from whole food sources. Webmd says the the average adult in the USA only consumes about 15 grams of fiber a day. 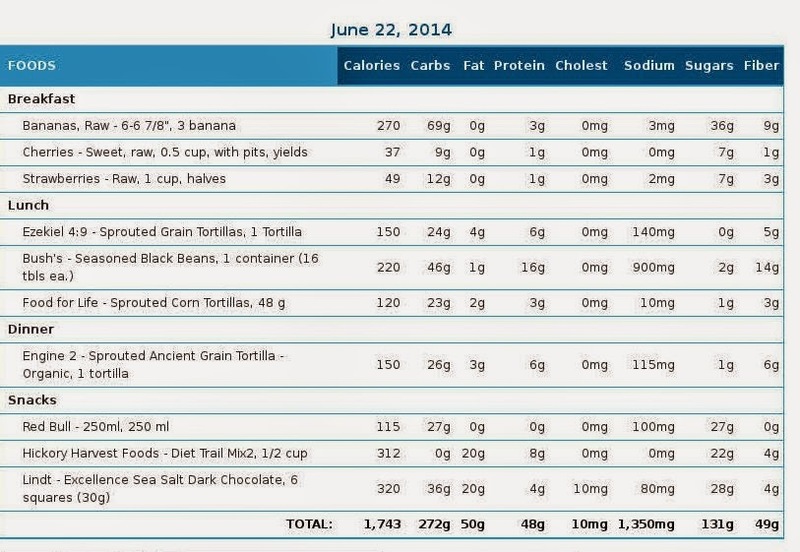 Our ancestors ate about 100 grams a day. 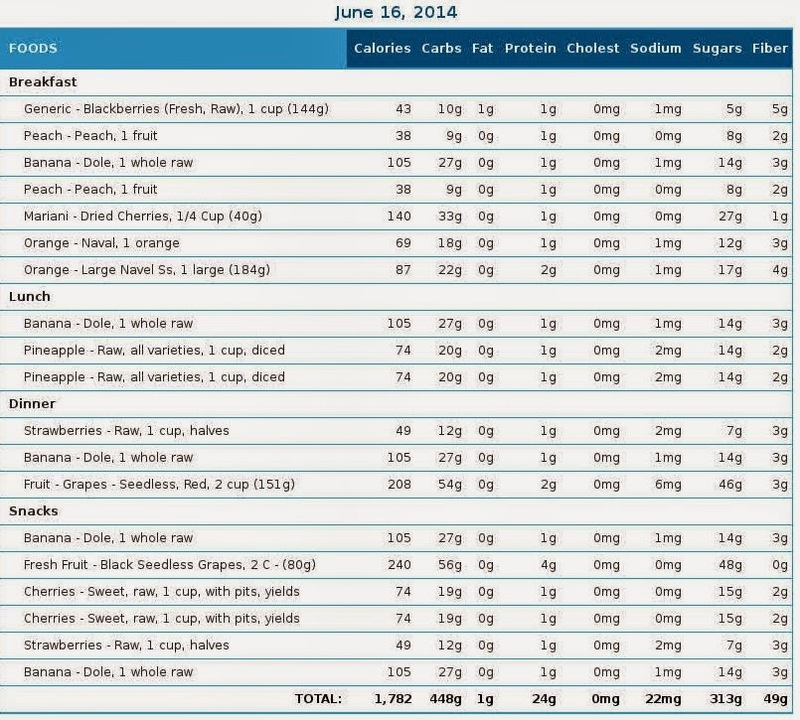 Out of the 448 grams of carbohydrates, 313 grams were sugar, but it was from whole fruits. I wasn't juicing fruits and throwing out the fiber. 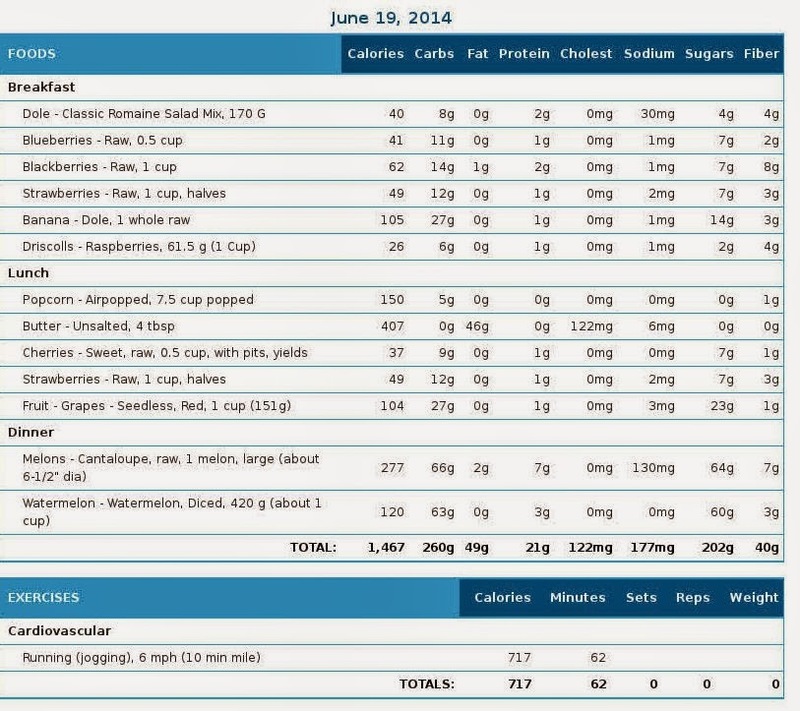 Picture from Myfitness pal of the food I ate yesterday. Click to enlarge. My activity level yesterday was pretty high. I was active for 9hours and 5minutes. I logged in 16,292 steps and burned 2,934 calories. I taught two Primal Fitness classes yesterday morning and participated in one in the evening. Other than that I played with the granddaughters. I'm not sure the Loop does a good job of recording sleep. I'm going to keep a better eye on it. 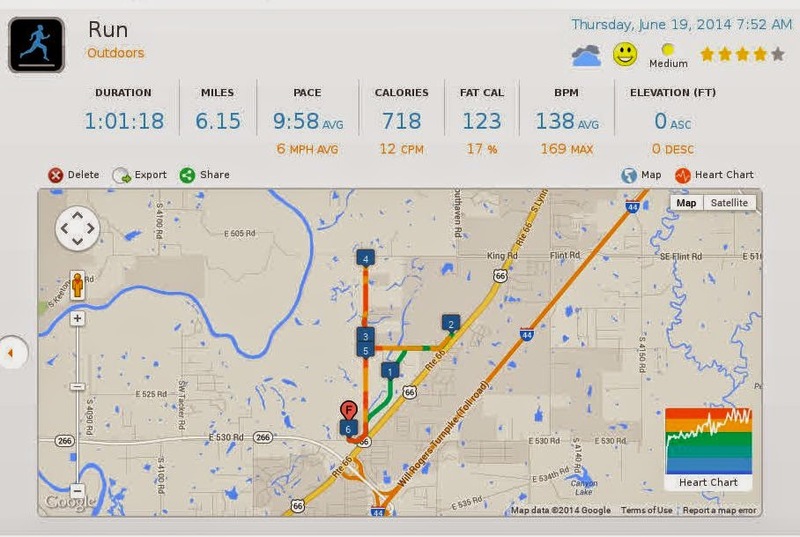 Normally I would wait until tomorrow to tell you about my run today but I'm kind of exciting about using a different app for recording my run. 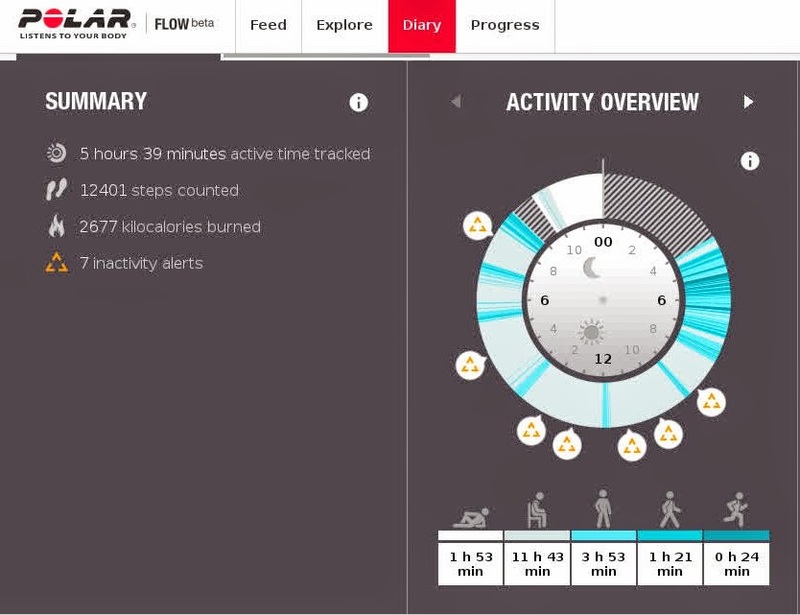 The app also helps me keep track of my HR so I can train in the HR zone I want. 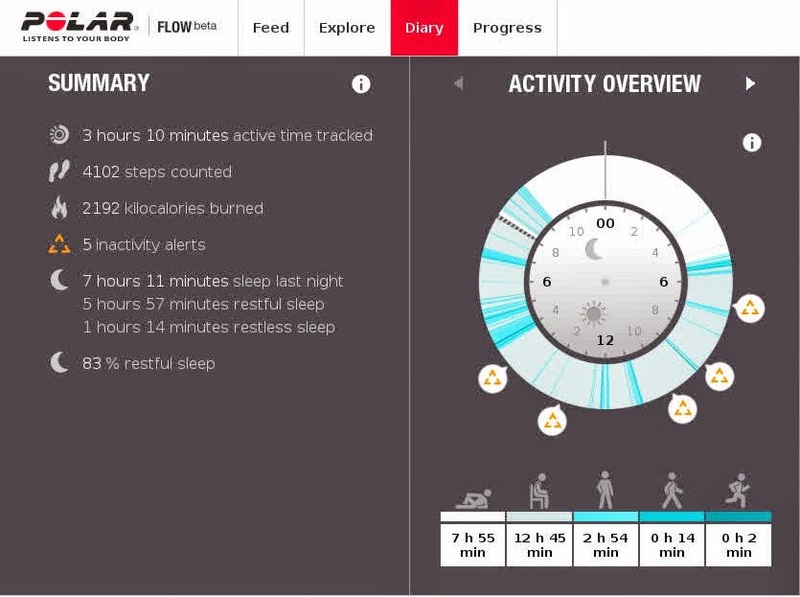 I ponied up the $2.99 and upgraded my Digifit icardio app so I could use my H7 HRM with the app. I really like the results. The lady on the app tells me when my HR changes zones. She also calls out my distance and pace. The results have my pace, HR, and elevation together on one graph, which I really like. 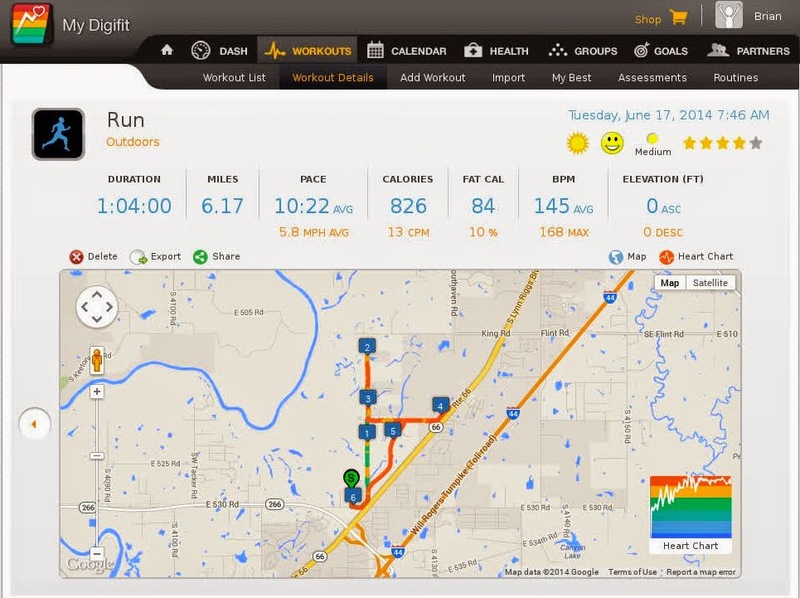 I ran 6.17 miles in 1 hour and 4 minutes. My average pace was 10:22. I burned 826 calories. My average HR was 145bpm. 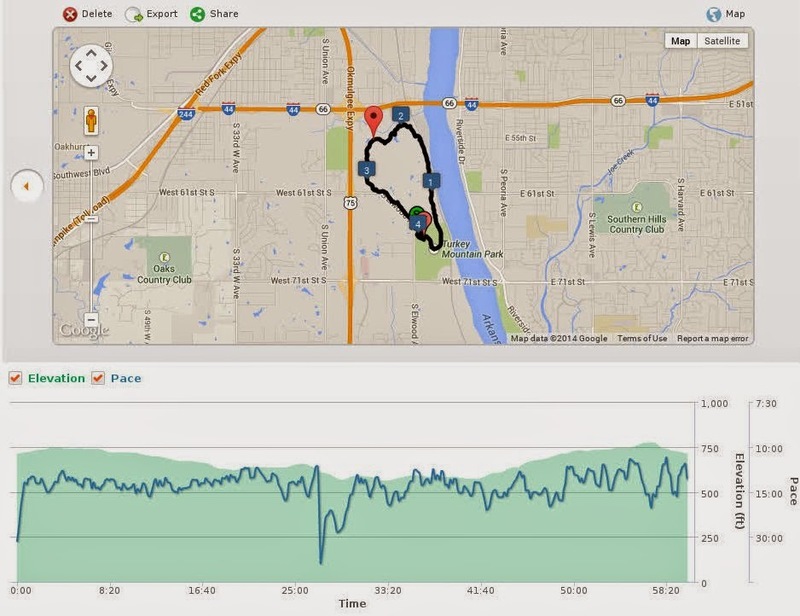 It shows the map of where I ran. It has a HR chart on the map. When you click on the HR chart it comes to the forefront. And it looks like this. 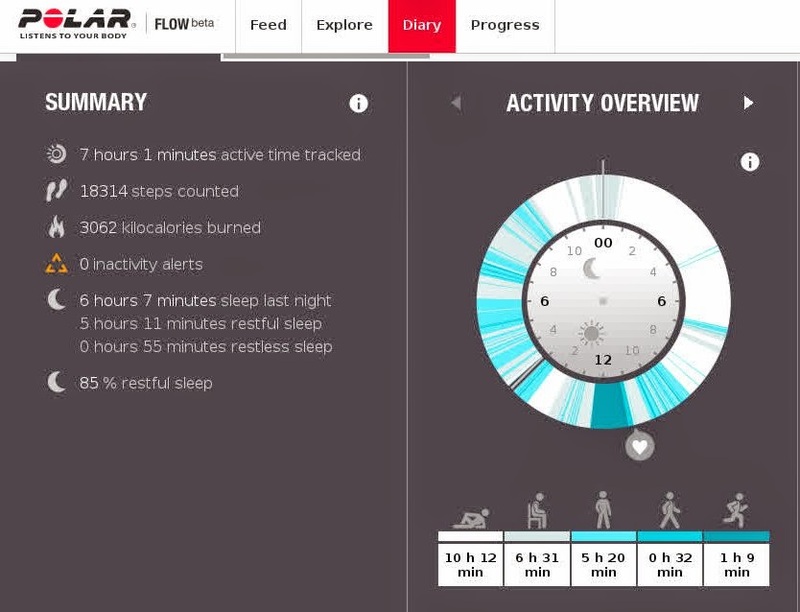 If you move your cursor over the chart it will give you all the details about that particular point in time. It will give you the time, pace, HR, and elevation. I really like the graph at the top of this picture. It has HR, pace, and elevation all on one graph. You can also place your cursor on this chart and see a particular moment in time. The bottom two displays are for time spent in each HR zone. I spent most of this run in zone 5. I think their zones are a little low. I also wanted to share this run today because it was done after 2 days of an all fruit diet. I ate only melons on Sunday. I ate only fruit yesterday. This morning I taught two Primal Aerobic Kickboxing Classes and completed this run in a fasted state. I was up this morning at 3:45am and finished my run at about 8:30am. I didn't eat until after the run was over. Today I'm only eating black beans, salsa, and tortillas. But they are very unique tortillas. Check back tomorrow to find out about the tortillas. I'll also have a tidbit on how cooked food differs from raw food. Will I be below 167lbs tomorrow? 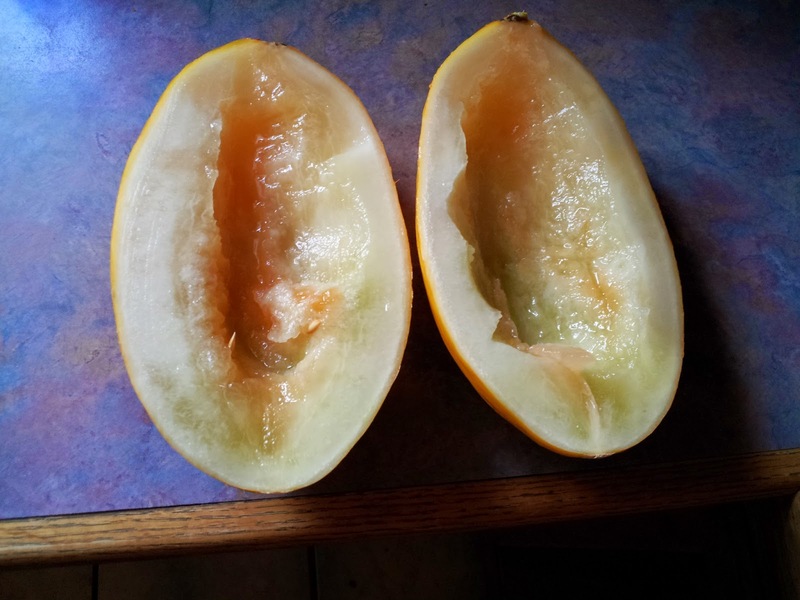 Yesterday, which was Sunday 6/15/14, I ate only melons. I had watermelon, cantaloupe, and some other melons. The other melons were ones that I had never eaten before. I had a Santa Claus melon, a canary melon, and a Hami melon. Unfortunately the canary melon was over ripe so I had to throw it away. If I had a hog I would have thrown it to him. So I won't be reviewing the canary melon. The Santa Claus melon is the green one on the left. 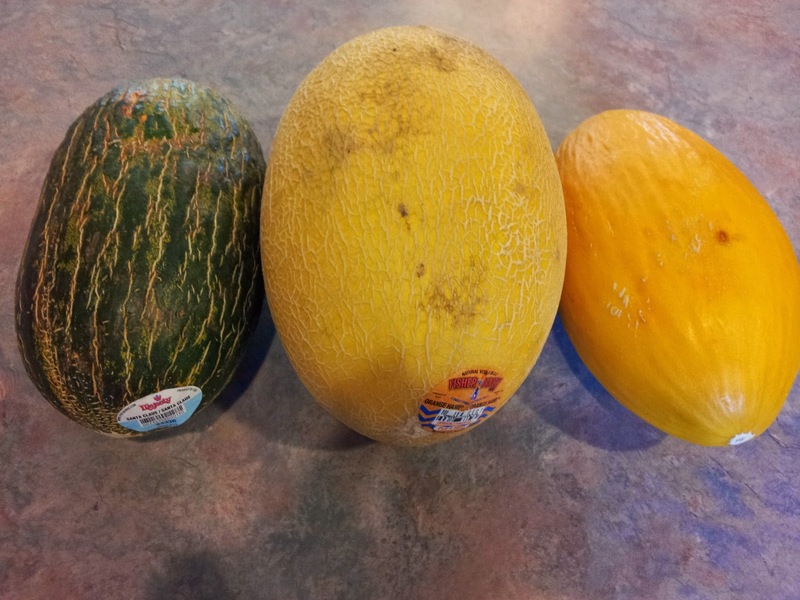 The Hami melon is in the center and the canary melon is on the right. This is the Santa Claus melon. I liked it. Tanya didn't care for it. It tastes like a cross between a watermelon, cantaloupe, and a honeydew melon. I ate the whole thing. The Hami melon tasted a lot like a cantaloupe. But it did have a favor of its own. The biggest difference though is the texture of the meat. 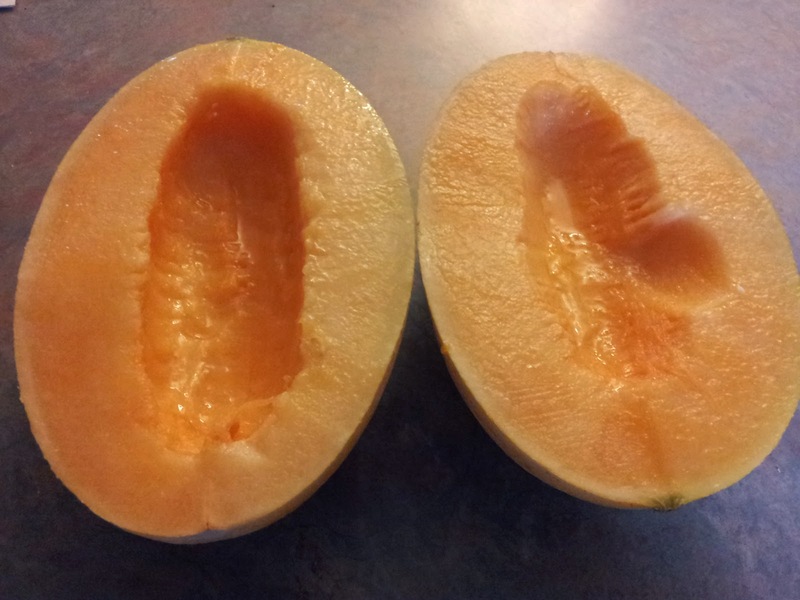 The Hami melon's flesh is firmer than a cantaloup. It's almost crunchy. We both liked it. 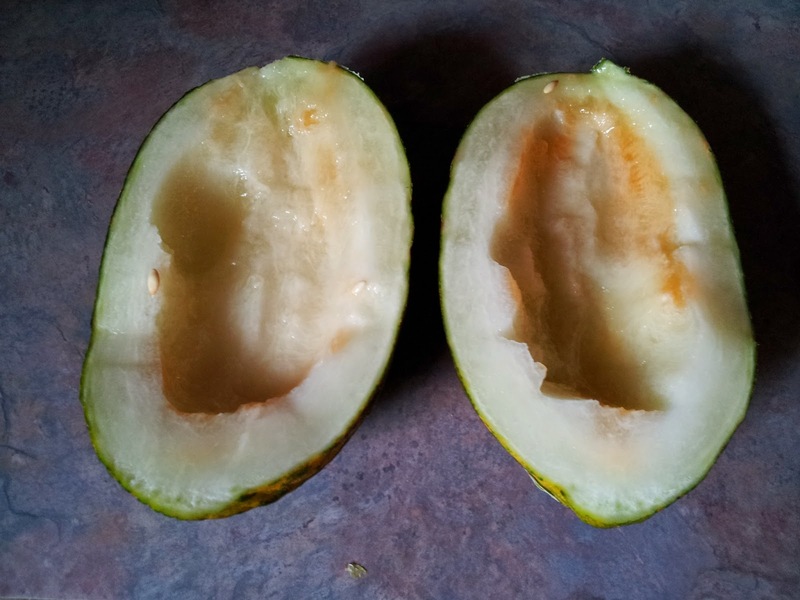 The canary melon has paler flesh than a cantaloupe but also taste similar. It is hard to do it justice though since this one was over ripe. I ate a lot of melon yesterday. 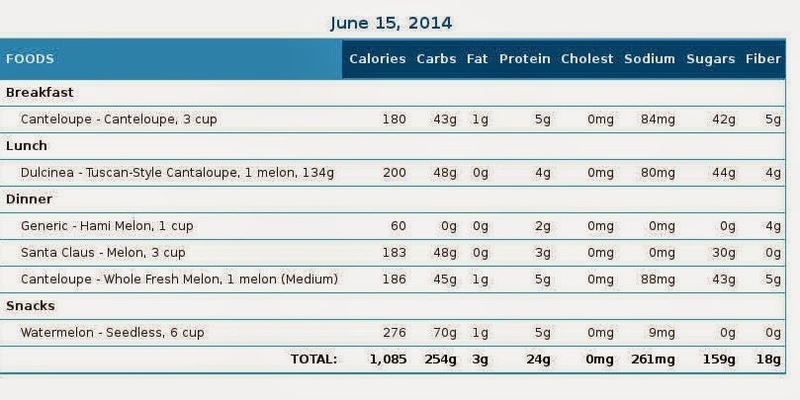 But the total number of calories from the melon wasn't very much. It only came to 1,085 calories for the day. I ate almost a whole watermelon, a whole santa claus melon, and several cups of the other melons. I didn't force feed myself. I didn't even try to come close to 1,600 calories. I ate until I was stuffed though. I just didn't make it a point to get the 1,600 calories. I figured I had enough calories on Friday and Saturday night to make up for it. 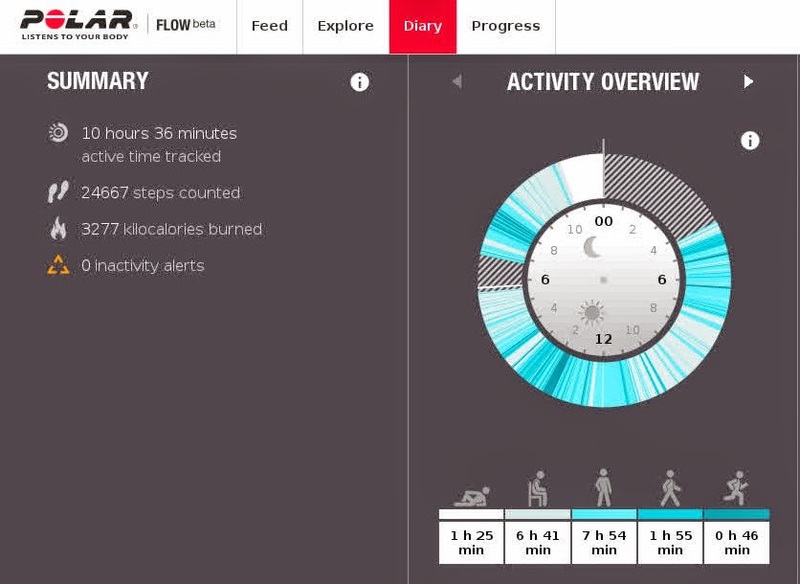 My activity log is off because I didn't wear my loop while I was running. 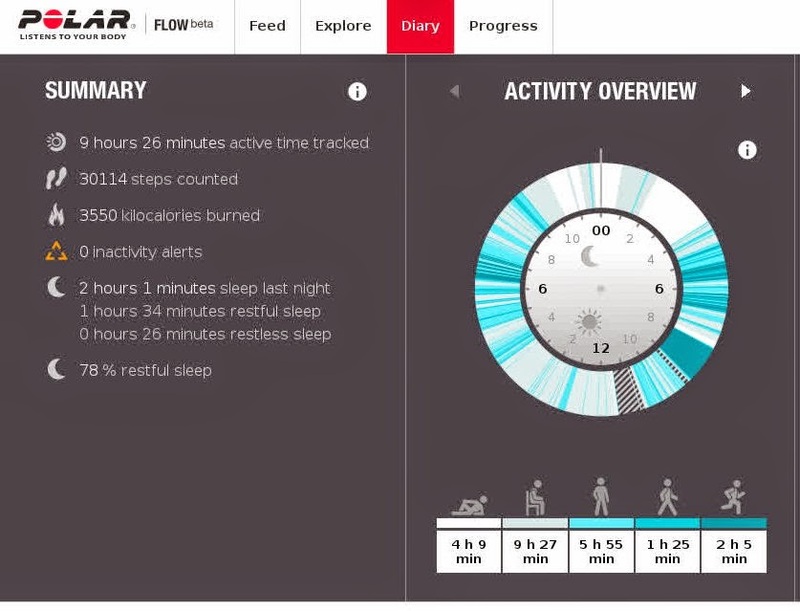 My Polar H7 HRM can only link to one device at a time. So I took my Polar Loop off before I put my H7 on so that they wouldn't link. 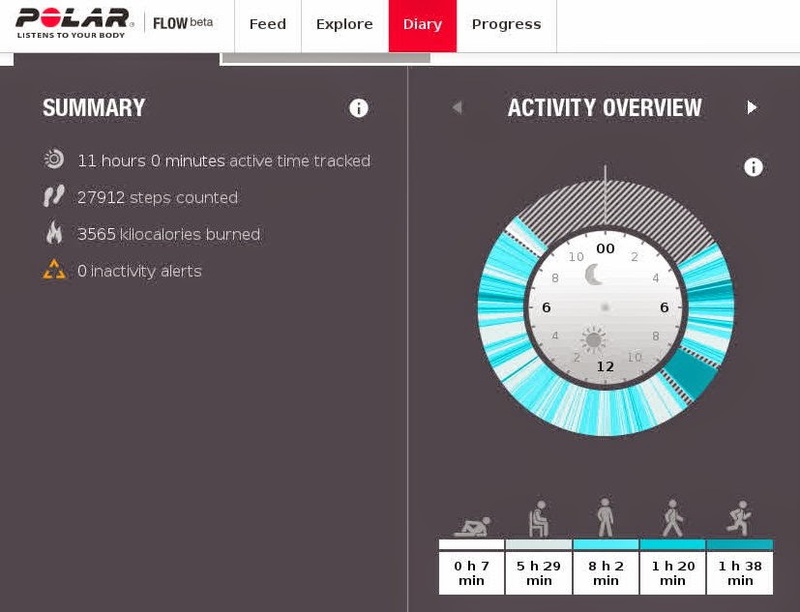 I wanted my H7 to link with my phone so I could use my Polar Beat App to record my HR. I forgot to put my Loop back on before I started to run. So I have about an hour and twenty minutes of activity that wasn't recorded on my Polar Loop.We'll add the activity from my Loop and Beat app together to get the total amount. 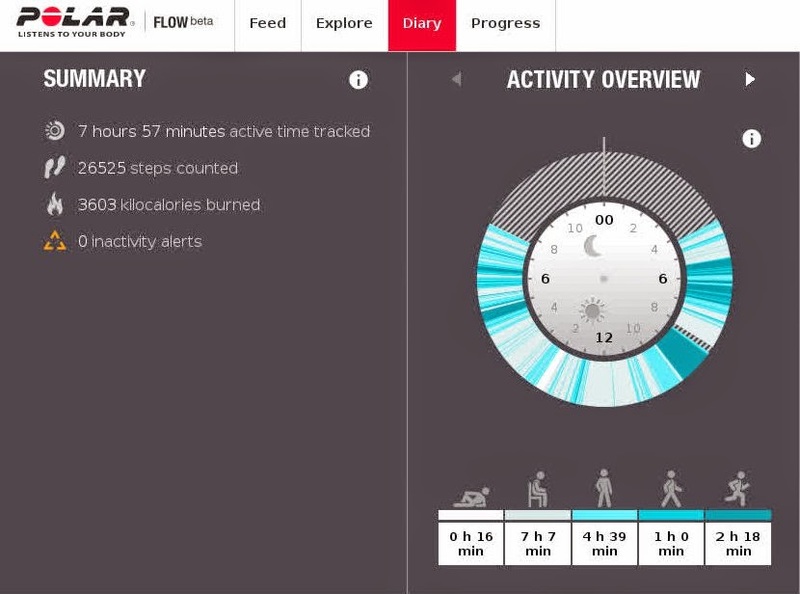 The Loop shows that I had 4 hours and 12 minutes of activity yesterday. 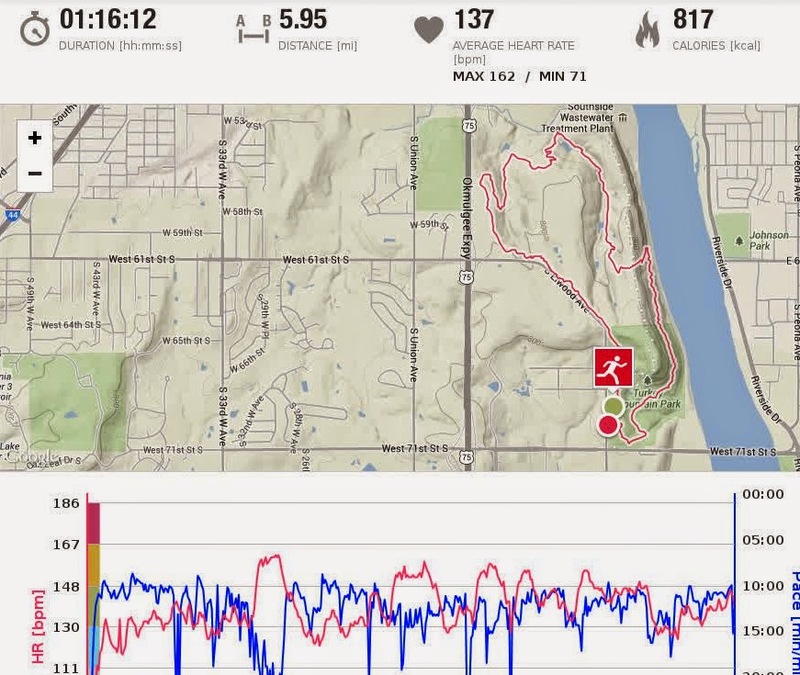 I also had the 1 hour and 16 minute run that I did on Turkey Mountain. That brings the total up to 5 hours and 28 minutes of activity yesterday. I had 2,129 calories burned on the Loop and 817 on the Beat app. For a total of 2,936 calories burned yesterday. For some reason the sync doesn't quite get all the information off of my phone strange. I slept 5 hours and 38 minutes last night. Which is weird since I went to bed at 8:30pm and got up at 3:45am. I know I got up several times last night to use the restroom. Eating so much melon really gets the bladder flowing. My run yesterday was really tough. I was feeling the sodium and grease. I ran a pretty rough course with a lot of hills. 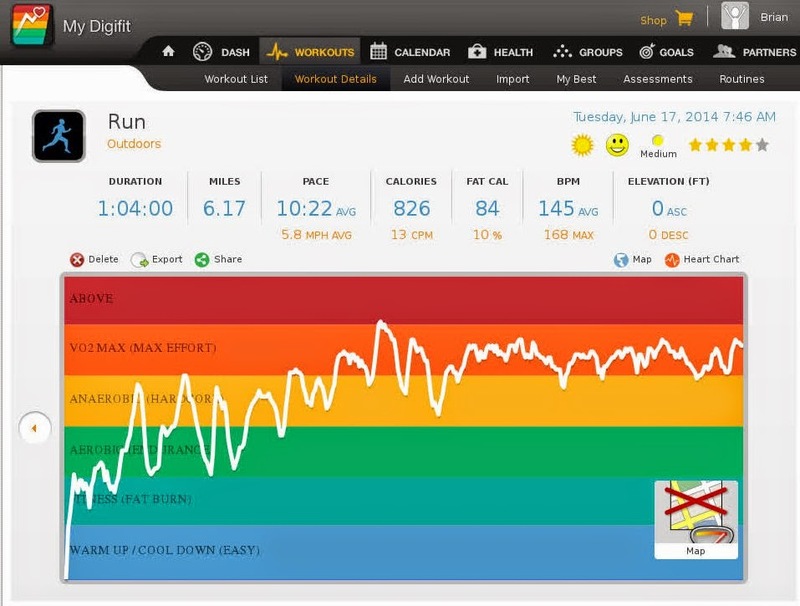 My maximum HR was 162bpm, my minimum was 71bpm, and the average was 137bpm. I wore my Hero Gopro yesterday. I was messing with it too, so that slowed me down too. This morning when I got up I weighed 172lbs. My Tanita scales said my BF was 16% and the Omron read 12.6%. My BGLs yesterday were 95mg/dL 99mg/dL, and 85mg/dL. This morning on rising my BGL was 84mg/dL. I need to start measuring my waist and hips every morning too. Or I might make it a once a week thing. Today I'm eating only fruit. I'll try to eat 1,600 calories. 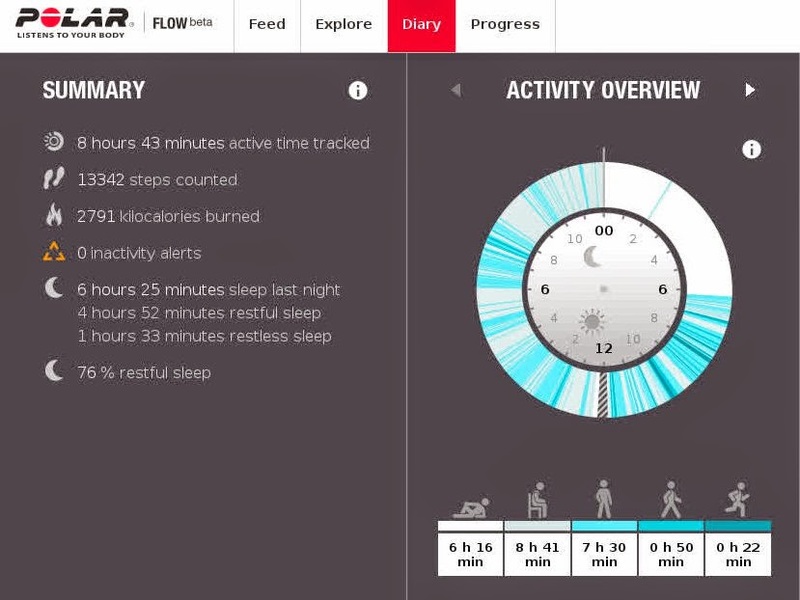 Tomorrow morning will complete the first 7 days of the 30 day challenge. 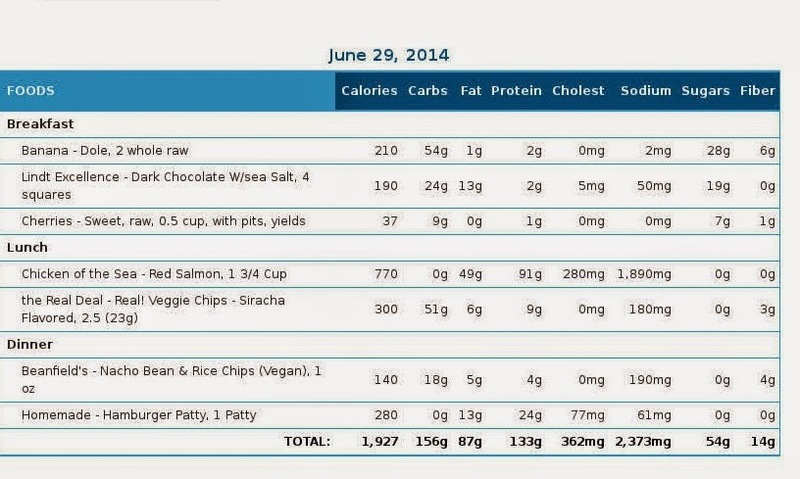 What will be my net loss for a week on an almost all plant-based diet? Did I lose muscle mass? Did I gain muscle mass? Did I lose the inflammation? Check back tomorrow and see. 30 day plant based challenge rules.